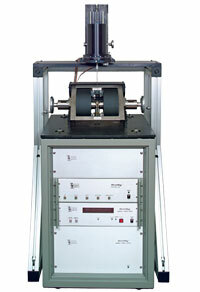 Magnetometers are used to characterize magnetic material properties. Magnetometry techniques can be broadly classified into two categories: inductive and force-based. Common inductive methods include vibrating sample magnetometry (VSM), extraction magnetometry, AC susceptometry and superconducting quantum interference device (SQUID) magnetometry. The two most commonly used inductive techniques are VSM and SQUID magnetometry. Alternating gradient magnetometry (AGM) is the most often used force-based technique. The measurement most commonly performed to characterize a materialâ€™s magnetic properties is that of a major hysteresis loop. The hysteresis or M(H) loop is typically used to determine a materialâ€™s saturation magnetization Ms (the magnetization at maximum applied field), remanence Mr (the magnetization at zero applied field after applying a saturating field) and coercivity Hc (the field required to demagnetize the material). More complex magnetization curves covering states with field and magnetization values located inside the major hysteresis loop, such as first-order-reversal-curves (FORCs), can provide additional information that can be used to characterize magnetic interactions and coercivity distributions in magnetic materials. A FORC is measured by saturating a sample in a field Hsat, decreasing the field to a reversal field Ha, then sweeping the field back to Hsat in a series of regular field steps Hb. This process is repeated for many values of Ha yielding a series of FORCs. The measured magnetization at each step as a function of Ha and Hb gives M(Ha,Hb). The FORC distribution ρ(Ha,Hb) is the mixed second derivative, that is, ρ(Ha,Hb) = â€“(1/2)∂2 M(Ha,Hb)/∂Ha∂Hb. A FORC diagram is a 2D or 3D contour plot of ρ(Ha,Hb) with the axis rotated by changing coordinates from (Ha,Hb) to Hc=(Hbâ€“Ha)/2 and Hu=(Hb+Ha)/2 where Hu corresponds to the distribution of interaction or reversal fields and Hc the distribution of switching or coercive fields. In vibrating sample magnetometry, originally developed by Simon Foner of MITâ€™s Lincoln Laboratory, a magnetic material is vibrated within a uniform magnetic field H, inducing an electric current in suitably placed sensing coils. The resulting voltage induced in the sensing coils is proportional to the magnetic moment of the sample. The magnetic field may be generated by an electromagnet or a superconducting magnet. VSM measurements can be performed from <2 K to 1,273 K using integrated cryostats or furnaces. When used with superconducting magnets, higher field strengths are possible; however, this limits the field setting resolution, and the measurement speed is inherently slower due to the speed at which the magnetic field can be varied using superconducting magnets. A typical hysteresis M(H) loop measurement can take one hour or more. Additionally, magnetometers employing superconducting magnets are more costly to operate since they require liquid helium. Cryogen-free systems employing closed cycle refrigerators, and also liquefiers that recover helium in liquid helium based systems are available, but these represent an expensive capital equipment investment. An advantage of superconducting magnet systems is that they reach higher magnetic fields than air- or water-cooled electromagnets, which is necessary to saturate some magnetic materials, such as rare earth permanent magnet materials. The noise floor of commercially available VSMs is 10â€“7 to 10-8 emu. Quantum mechanical effects in conjunction with superconducting detection coil circuitry are used in superconducting quantum interference device (SQUID) based magnetometers to measure the magnetic properties of materials. Theoretically, SQUIDs are capable of achieving sensitivities of 10â€“12 emu, but practically, they are limited to sensitivities of 10â€“8 emu because the SQUID also picks up environmental noise. As in a VSM, SQUIDs may be used to perform measurements from low to high temperatures (from <2 K to 1,000 K). Superconducting magnets with field strengths up to 7 T are employed in SQUIDs[14,15]; therefore, the measurement is inherently slow due to the speed at which the magnetic field can be varied, as is the case for superconducting magnet-based VSM systems. A typical hysteresis M(H) loop measurement can take one hour or more. Force methods involve determination of the apparent change in weight for a material when placed in an inhomogeneous magnetic field. The sample experiences a force f along the axis of the field gradient (dH/dz), which is given by f = m(dH/dz) where m is the magnetic moment. The equipment required for such force methods are either an electro- or superconducting magnet, and a balance for force measurements. A commercial variant of these methods is the alternating gradient magnetometer. AGMs are capable of achieving sensitivities in the 10â€“8 to 10â€“9 emu range, and like the VSM, the AGM is a very fast measurement; a typical hysteresis loop takes seconds to minutes. Commercial AGM systems can be used for ambient temperature measurements to the moderate 2 to 3 T fields achievable with electromagnets. â€¢Â Â Â Electronic sensitivity. â€¢Â Â Â Noise rejection through signal conditioning. â€¢Â Â Â Amplitude and frequency of mechanical drive. â€¢Â Â Â Thermal noise of sensing coils. â€¢Â Â Â Optimized design and coupling (proximity) of sensing coils to the sample under test. Itâ€™s clear from this equation that increasing A, f or S, will improve moment sensitivity. S may be increased by either increasing the coupling between the sense coils and the sample under test (i.e., minimize gap spacing), or by optimizing the design of the sense coils (i.e., number of windings, coil geometry, etc.) And, of course, signal averaging also improves sensitivity. The data shown in this article were recorded using a Lake Shore Model 8600 VSM. Figure 1 shows typical noise measurement results at 100 ms/point (left) and 10 s/point (right) averaging. Note that the vertical axis is expressed in nemu (10â€“9 emu). The RMS noise values are noted in the figure caption. The VSM has been designed for fast measurements, providing field ramp rates to 10 kOe/s, and data acquisition as fast as 10 ms/point. Figure 3 shows typical hysteresis loop measurement results for a magnetic stripe (left) with saturation moment of 14 memu (10â€“3 emu), and CoPt thin film (right) with saturation moment of 80 Âµemu. The magnetic stripe loop was recorded for Â±10 kOe in 50 Oe steps at 10 ms/point in 13 seconds, and the loop for the CoPt thin film was recorded for Â±4 kOe in 25 Oe steps at 100 ms/point in only 69 seconds. In this article we have discussed the advantages and disadvantages of the most commonly used inductive and force based magnetometry methods. Weâ€™ve presented measured RMS noise data for an electromagnet based VSM as function of signal averaging, and also typical results for a CoPt thin film with saturation moment of only 20 Âµemu. Results of fast hysteresis loop and FORC measurements have been presented as well demonstrating the measurement speed of the VSM, which is particularly important in acquiring FORC data. Â Â C. R. Pike, A. P. Roberts, K. L. Verosub, â€œCharacterizing Interactions in Fine Particle Systems Using First-Order-Reversal-Curvesâ€�, J. Appl. Phys., 85, 6660, 1999. Â Â A. P. Roberts, C. R. Pike, K. L. Verosub, â€œFirst-Order Reversal-Curve Diagrams: A New Tool for Characterizing the Magnetic Properties of Natural Samplesâ€�, J. Geophys. Res., 105, 461, 2000. Â Â B. F. Valcu, D. A. Gilbert, K. Liu, â€œFingerprinting Inhomogeneities in Recording Media Using the First Order Reversal Curve Methodâ€�, IEEE Trans. Mag., 47, 2988, 2011. Â Â M. Winklhofer, R. K. Dumas, K. Liu, â€œIdentifying Reversible and Irreversible Magnetization Changes in Prototype Patterned Media Using First- and Second-Order Reversal Curvesâ€�, J. Appl. Phys, 103, 07C518, 2008. Â Â B. C. Dodrill, L. Spinu, â€œFirst Order Reversal Curve Analysis of Nanoscale Magnetic Materialsâ€�, Technical Proceedings of the 2014 NSTI Nanotechnology Conference and Expo, CRC Press, 2014. Â Â Y. Cao, M. Ahmadzadeh, K. Xe, B. Dodrill, J. McCloy, â€œSimulation and Quantitative Analysis of FORC Diagrams for Single Phase and Multiphase System Using Preisach Hysteron Distribution Patternâ€�, submitted to J. Mag. Mag. Mat., 2017. Â Â B. C. Dodrill, â€œFirst-Order-Reversal-Curve Analysis of Nanocomposite Permanent Magnetsâ€�, Technical Proceedings of the 2015 TechConnect World Innovation Conference and Expo, CRC Press, 2015. 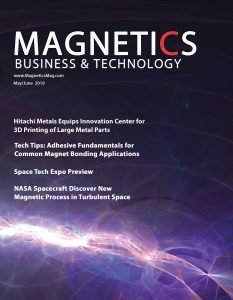 Â Â B. C. Dodrill, â€œFirst-Order-Reversal-Curve Analysis of Multi-phase Ferrite Magnetsâ€�,Â Magnetics Business and Technology, Spring 2015. C. Carvallo, A. R. Muxworthy, D. J. Dunlop, â€œFirst-Order-Reversal-Curve (FORC) Diagrams of Magnetic Mixtures: Micromagnetic Models and Measurementsâ€�, Physics of theÂ Earth and Planetary Interiors, 154, 308, 2006. 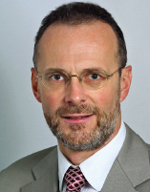 S. Foner, â€œVersatile and Sensitive Vibrating Sample Magnetometerâ€�, Rev. Sci. Inst., 30, 548, 1959.